Many people have a special vice or indulgence – something about which they care far more than the average person and which, quite irrationally, they value well above its objective cost. For some it’s a fancy car, or scoring a prime table at a hip restaurant or having the latest fashion fad. Mine is flying in a premium cabin. Over the years, with a lot of planning and tactical earning and burning of frequent flier miles, I’ve flown in some fantastically spacious lie-flat beds, gotten free massages in exclusive high-end lounges and raised my champagne tolerance to impressive levels. 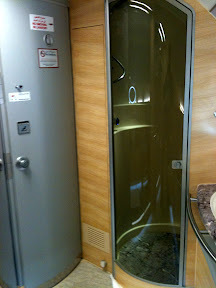 But Dubai-based Emirates Airlines upped the ante exponentially for travel sybarites like me when they announced their fleet of new Airbus A380 aircraft was going to have showers in First Class.